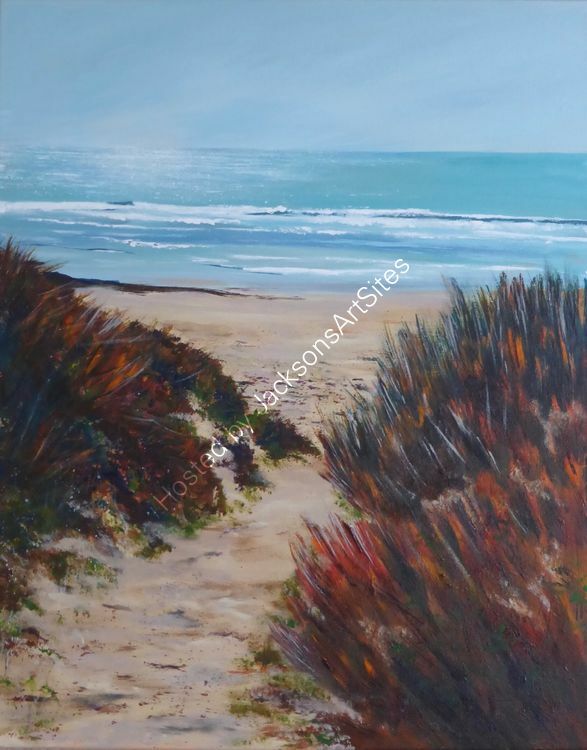 On a sunny afternoon, walking through the dunes at Praa Sands, the glistening sea beckoned. An original painting in acrylic on a stretched canvas, unframed, ready to hang or have framed to suit your own decor. Size 40 x 50 cms.